Autism is a disorder with no known cause or cure. Parents and advocates of children with ASD will understandably pursue interventions and treatments that offer the possibility of helping the student, particularly if they are perceived as unlikely to have any adverse effects. Unfortunately, families are often exposed to unsubstantiated, pseudoscientific theories, and related clinical practices that are ineffective and compete with validated treatments, or that have the potential to result in physical, emotional, or financial harm. The time, effort, and financial resources spent on ineffective treatments can create an additional burden on families. Professionals and parents should use caution with treatments that (a) are based on overly simplified scientific theories; (b) make claims of recovery and/or cure; (c) use case reports or anecdotal data rather than scientific studies; (d) lack peer-reviewed references or deny the need for controlled research studies; or (e) are advertised to have no potential or reported adverse effects (Myers, Johnson et al., 2007). School professionals play an important role in helping parents and other caregivers to differentiate empirically validated treatment approaches from treatments that are unproven and potentially ineffective and/or harmful. Often referred to as CAM, or complementary and alternative medicine, these treatments commonly lack scientific evidence supporting their safety or effectiveness in treating the symptoms of ASD. Although growing in popularity, CAM treatments such as elimination diets, dietary supplements, and biological agents can have negative side effects and are not generally supported by scientific research. Several nutritional interventions are widely used by parents, most notably restriction of food allergens (e.g., yeast-free diet, gluten-and casin-free (GF-CF) diet) and dietary supplements such as vitamins (e.g., A, C, B-6 and magnesium, fatty acids, and DMG). There is a lack of objective scientific evidence to indicate that these CAM therapies improve the symptoms of ASD (Myers, Johnson, et al., 2007; Ozonoff et al., 2002; Stone, 2006, Baron-Cohen, 2008). Because CAM therapies have not been adequately evaluated, evidence-based recommendations for their use are not feasible (Myers, Johnson, et al., 2007). 1. Is there reliable evidence to support the effectiveness of the intervention? 2. Has it been scientifically validated? 3. What is the rationale or underlying purpose of the intervention or treatment? 4. Does the intervention/treatment focus on one particular aspect or is it a general comprehensive approach? 5. Is there excessive media publicity surrounding the intervention or treatment? 6. How successful has the intervention been for children in the general classroom? 7. How will the treatment/intervention be integrated into the child’s educational program? 8. Is there a risk that the treatment will result in harm to the child? 9. What assessment procedures are involved? 10. Do school personnel have experience with the intervention? What training is required? The Social Responsiveness Scale (SRS; Constantino & Gruber, 2005) is a brief quantitative measure of autistic behaviors in 4 to 18 year old children and youth. This 65-item rating scale was designed to be completed by an adult (teacher and/or parent) who is familiar with the child’s current behavior and developmental history. The SRS can be completed in approximately 15 minutes and focuses on the child’s reciprocal social interactions, a core impairment in all pervasive developmental disorders. Standardization is based on a sample of 1,636 children drawn from the general population. The SRS items measure the ASD symptoms in the domains of social awareness, social information processing, reciprocal social communication, social anxiety/avoidance, and stereotypic behavior/restricted interests. Each item is scored from 1 (not true) to 4 (almost always true). Scores are obtained for five treatment subscales: Social Awareness (e.g., “Is aware of what others are thinking or feeling”), Social Cognition (e.g., Doesn’t recognize when others are trying to take advantage of him or her”), Social Communication (e.g., Avoids eye contact or has unusual eye contact”), Social Motivation (e.g., “Would rather be alone than with others”), and Autistic Mannerisms (e.g., Has an unusually narrow range of interests”). Interpretation is based on a single score reflecting the sum of responses to all 65 SRS questions. Raw scores are converted to T-scores (with mean of 50 and standard deviation of 10) for gender and rater type. A total T-score of 76 or higher is considered severe and strongly associated with a clinical diagnosis of autistic disorder. A T-score of 60 through 75 is interpreted as falling in the mild to moderate range and considered typical for children with mild or “high functioning” ASD, while a T-score of 59 or less suggests an absence of ASD symptoms. A total raw score of > 75 was associated with a sensitivity value of .85 and specificity value of .75 for ASD (Autistic Disorder, Asperger’s Disorder, or PDD-NOS). The AUC was .85 for recommended screening and clinical cutoff scores and indicates good overall discrimination. In school settings, raw scores at or above 85 from two separate informants provides very strong evidence of ASD. More impressive values have been noted when using lower parent or teacher scores. For example, T-scores of > 60 from both parent and teacher have been shown to result in a 96.8% likelihood of a clinically identified ASD diagnosis (Constantino et al., 2003, 2007). The SRS is an efficient tool for capturing the more subtle aspects of social impairment associated with ASD (e.g., PDD-NOS) and reflects the level of severity across the autism spectrum. The scale demonstrates strong reliability across informants, acceptable internal consistency, and correlates highly with the Autism Diagnostic Interview-Revised (ADI-R). Brief, quantitative, and based on naturalistic observations of parents and teachers, the SRS can be used as an effective screener in clinical or educational settings, an aid to clinical diagnosis, or a measure of response to intervention (Wilkinson, 2010, 2011). The SRS compares favorably to more time-intensive measures and can help school and clinical psychologists identify the type of social impairment characteristic of autism spectrum disorders (ASD) in children as young as 4 years of age and guide development of intervention/treatment programs. Of course, the results of questionnaire measures should not replace clinical assessment and must be integrated with information from different sources. The SRS should be used within the context of a comprehensive evaluation, including developmental history and assessment of intellectual, language, and adaptive behavior functioning (Wilkinson, 2010). Further research is needed to assess how the SRS performs when differentiating children with ASD from other childhood disorders (e.g., ADHD) and those with intellectual disability. Chandler, S., Charman, T., Baird, G., Simonoff, E., Loucas, T., Meldrum, D., & Pickles, A. (2007). Validation of the Social Communication Questionnaire in a population cohort of children with autism spectrum disorders. Journal of the American Academy of Child and Adolescent Psychiatry, 46, 1324–1332. Constantino et al. (2003). Validation of a brief measure of autistic traits: Comparison of the social responsiveness scale with the autism diagnostic interview-revised. Journal of Autism and Developmental Disorders, 33, 427-433. Constantino, J. N., & Gruber, C. P. (2005). Social Responsiveness Scale. Los Angeles: Western Psychological Services. Constantino et al. (2007). 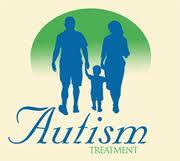 Rapid quantitative assessment of autistic social impairment by classroom teachers. Journal of the American Academy of Child and Adolescent Psychiatry, 46, 1668-1676. Mash, E. J., & Hunsley, J. (2005). Evidence-based assessment of child and adolescent disorders: Issues and challenges. Journal of Clinical Child and Adolescent Psychology, 34, 362-379. Norris, M., & Lecavalier, L. (2010). Screening accuracy of level 2 autism spectrum disorder rating scales: A review of selected instruments. Autism, 14, 263–284. Wilkinson, L. A. (2011). Identifying students with autism spectrum disorders: A review of selected screening tools. Communiqué, 40, pp. 1, 31-33. 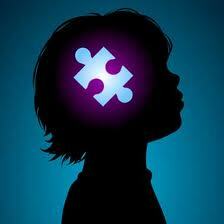 Supporting children with ASD requires individualized and effective intervention strategies. With few exceptions, the evidence base for interventions for students with ASD is in the formative stage. Robust, impartial research is needed to determine which interventions are most effective and with which students. While children with ASD share a number of similar behavioral and other characteristics, every child is unique. Intervention approaches must be sensitive to their uniqueness and individuality. The following effectiveness ratings for selected interventions and treatments should be considered a “snapshot” in time and are intended to reflect the scientific evidence published in peer-reviewed journals. Each intervention is rated for effectiveness, both positive and negative, providing a classification which identifies the level of scientific evidence which supports or does not support its use. For example, interventions that are “well established” have strong empirical support in the scientific literature. Interventions having an “emerging and effective” level of support are considered promising and have become or are emerging as important features of many programs. However, they require additional objective verification. Those with a lack of empirical data (no evidence) do not infer that the intervention or treatment is ineffective, but rather that efficacy has not been objectively demonstrated or validated. Lastly, those rated as having “negative evidence,” may cause harm and are not recommended for use. It is important to note that there is considerable overlap between the many different treatment approaches. For example, strategies based on applied behavioral analysis (ABA) are an integral part of many interventions, such as early intensive behavioral intervention (EIBI), picture exchange communication system (PECS), and pivotal response treatment (PRT). The success of the intervention depends on the interaction between the age of the child, his or her developmental level and individual characteristics, the strength of the treatment and competency of the interventionalist. These ratings are not intended as an endorsement or a recommendation as to whether or not a specific intervention is suitable for a particular child with ASD. Each child is different and what works for one may not work for another. Different approaches to intervention have been found to be effective for children with autism, and no comparative research has been conducted that demonstrates one approach is superior to another. The selection of a specific intervention should be based on goals developed from a comprehensive assessment. A description of the aforementioned interventions and treatments are available from Wilkinson (2010). 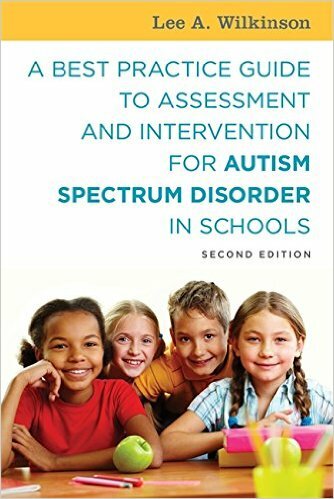 A Best Practice Guide to Assessment and Intervention for Autism and Asperger Syndrome in Schools. “A Best Practice Guide to Assessment and Intervention for Autism and Asperger Syndrome in Schools” has been short-listed by the National Association for Special Educational Needs (NASEN) for their 2011 Special Educational Needs Academic Book of the year award. The awards are widely recognized as representing excellence and best practice in books and resources for special educational needs. They will be presented to the winners in each category at an informal ceremony to be held at NASEN Live 2011 at the Reebok Stadium, Bolton, Lancashire, UK on Tuesday 24th May 2011. NASEN is the leading organization in the UK which aims to promote the education, training, advancement and development of all those with special and additional support needs. Please visit the NASEN website for further details about the awards. 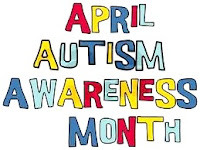 April has been designated national Autism Awareness Month and provides a special opportunity for individuals across our country to educate and raise awareness in their neighborhoods, workplaces, schools and local communities. Recent studies indicate that rates for both autism spectrum disorders (ASD) and autistic disorder are 3 to 4 times higher than 30 years ago. The pervasive developmental disorder (PDD) category, also commonly referred to as ASD, represents one of the fastest growing disability categories in the world. In the United States, ASD is more prevalent in the pediatric population than cancer, diabetes, spina bifida, and Down syndrome. 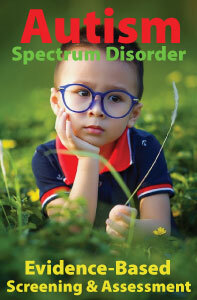 The U.S. Centers for Disease Control now estimates that 1 in 110 8-year-old children have an autism spectrum disorder. In fact, prevalence and incidence figures suggest that over 1.5 million Americans are affected by autism. • Delays in milestones like crawling and walking. Children with ASD (but not always) experience delays in speech and communication skills. Not only will they often develop spoken language later, but they are less likely to develop non-verbal communication skills such as pointing, joint attention, or gesturing. I always recommend that a standardized screening tool be administered at any point when concerns about ASD are raised by a parent or teacher or as a result of school observations or questions about developmentally appropriate social, communicative, play behaviors, or where there is a family history of autism or related disabilities. Because ASDs continue to grow at such a dramatic rate, it is an issue that deserves our attention not only in April, but throughout the year.